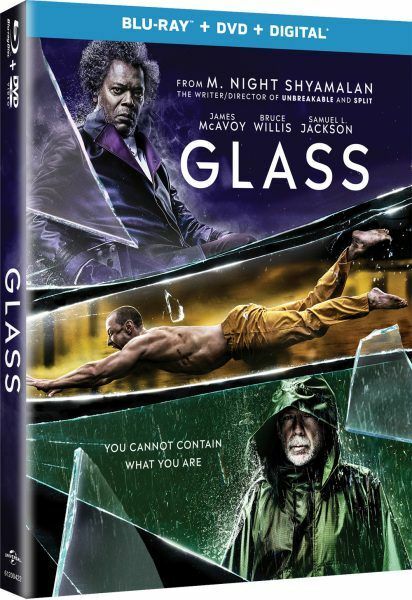 Writer-director M. Night Shyamalan (Unbreakable, Split) completes his skewed superhero trilogy, first created nearly twenty years ago, with Glass, a comic book thriller available now on Digital, 4K Ultra HD, Blu-ray, DVD and On Demand from Universal Pictures Home Entertainment. 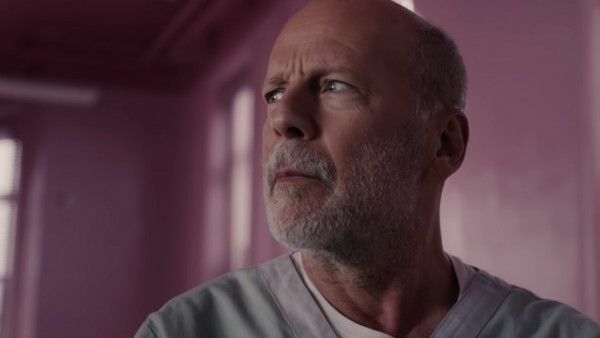 Glass is a grounded-in-reality, comic-book thriller where the heroes and villains are people first, a thrilling culmination to the trilogy that started with Unbreakable and Split. 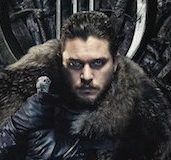 James McAvoy, Samuel L. Jackson, Bruce Willis, and Anya Taylor-Joy return, alongside franchise newcomer Sarah Paulson. This home video release will take fans inside the mind of Shyamalan in order to better uncover the connections and references that bring the three films together in one universe. 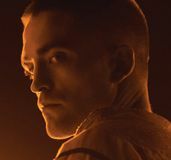 In more than sixty minutes of never-before-seen features elaborating on his process and artistic vision, including an in-depth look at the making of the film, deep insights on the characters, a never-before-seen alternate opening, and deleted scenes, the bonus features of Glass offer a window into the production itself. At times, Shyamalan appears earnest and thoughtful, explaining in great detail why certain scenes didn’t make the cut or walking viewers through his thought process for his first-ever sequel. And other times, the Hollywood veil opts to ignore the film’s failings, praising the 50 to 75 drafts of the script and story that ultimately ended up with a dozen deleted scenes and some fractured storytelling. 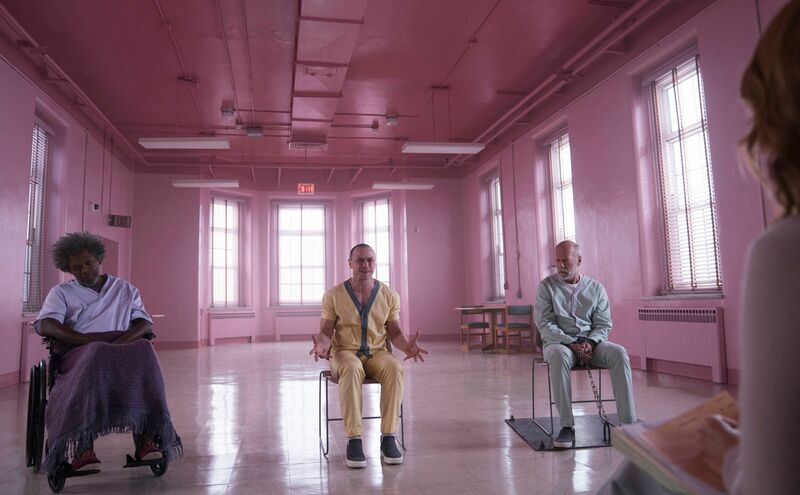 Still, Glass is a necessary addition to your collection if you want to complete Shyamalan’s first (and possibly only) cinematic trilogy. 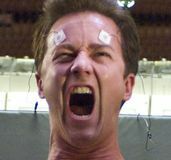 David Dunn – McAvoy, Shyamalan, and Jackson, talk about Dunn, a character who was never happy unless he was helping people. However, that vigilante purpose has an effect on him, a weight; the only other thing he has in his life is his son. They also talk about working with Willis, alongside behind-the-scenes footage from the production. 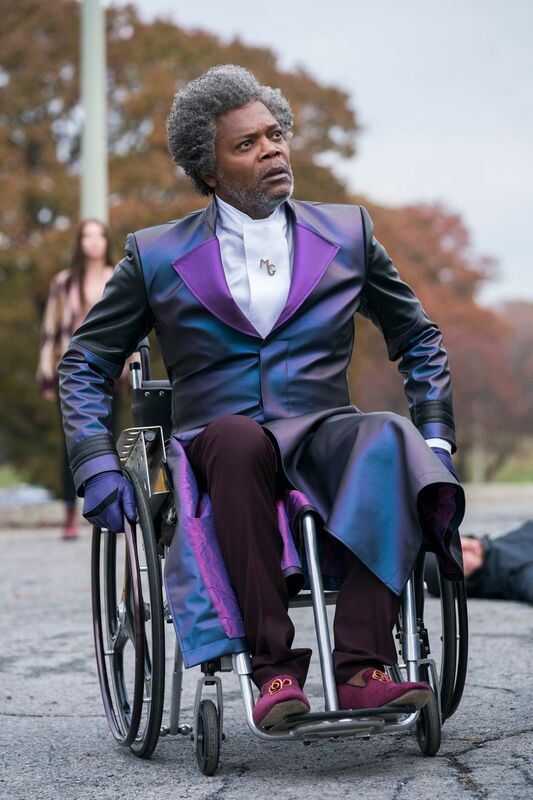 Elijah Price – Jackson, Paulson, McAvoy, and Shyamalan remind viewers about the villainous Mr. Glass and his medical condition, and his status as a comic book supervillain, while Jackson’s co-stars praise his professionalism. 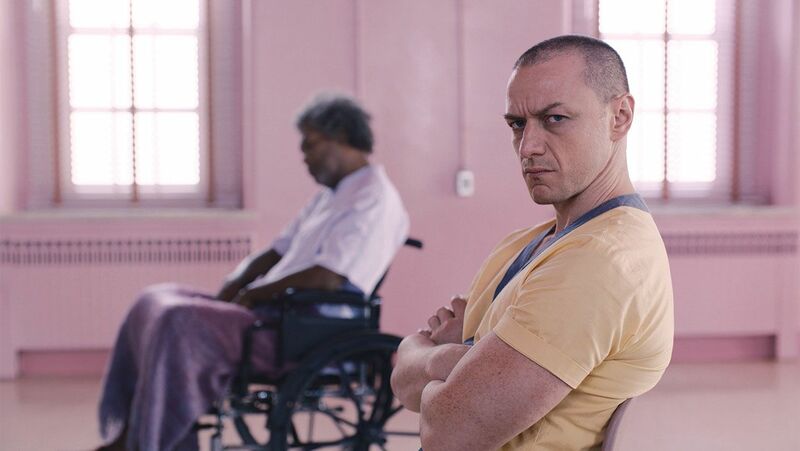 Kevin Wendell Crumb – McAvoy himself weighs in on Kevin’s abusive past and his dissociative identity, but also the core of Kevin’s personality being “in a coma” for much of his life. Taylor Joy and Jackson also talk about performing opposite the complicated character while Shyamalan and Paulson praise McAvoy’s incredible, switch-flipping performance as he snaps from one personality to the next. McAvoy also says, amidst behind-the-scenes footage, that each personality had to be separate and distinct in order to find the truth in them. The Rest of the Family – Shyamalan introduces Woodard as Mrs. Price, Treat Clark as Joseph Dunn, and even Taylor-Joy’s Casey as an extended family member, having developed a connection with Kevin Wendell Crumb. 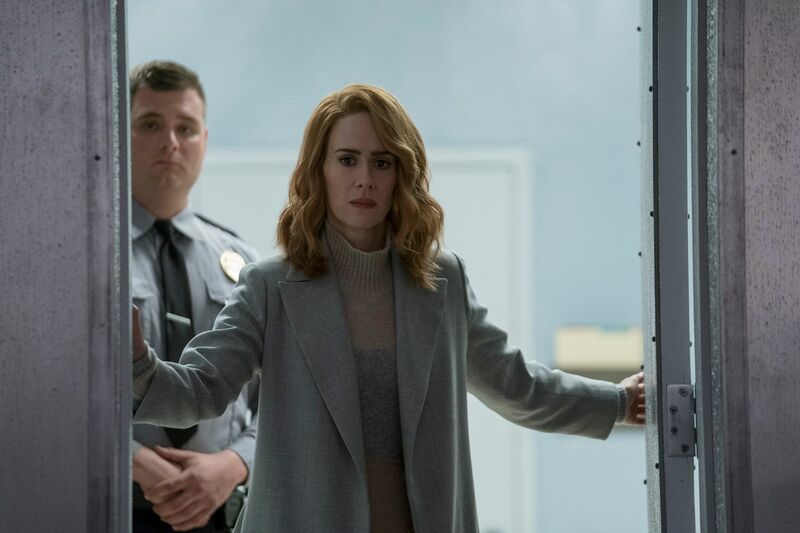 He also introduces Paulson’s psychiatrist character, Dr. Ellie Staple, “a woman of incredible compassion” who thinks she has the answer to some of the world’s problems. Bringing the Team Back Together – (3 minutes) M. Night Shyamalan is famous for working with many of the same crew from film to film. In this piece, cast and crew share personal stories of why Shyamalan’s productions feel like seeing family again. Crew members John Rusk, Jon Sibert, Leon Sanginiti, and Nell Stifel appear alongside core cast members in this quick look at the 20-odd years of Shyamalan’s superhero trilogy. Solid behind-the-scenes look at the gritty and visceral fight scene between the power players. The bounding run of The Beast was performed by stunt performer Zack Roberts. Elijah’s original wheelchair from Unbreakable is brought back for Glass; Shyamalan has kept it in his personal collection for 18 years. In Unbreakable, primary colors begin to pop out at you as Mr. Glass unveils his plan. In Split, the only time color really shines through is in the post-credits scene where David Dunn sits at the diner, aware of his existence in his comic book world. In Glass, the bold primary colors start to get muted again. Dunn gets a green, life-giving color; Elijah gets a purple motif; while The Beast gets a religious/Buddhist sort of yellow tone as a priest, a prophet, or evangelist. Breaking Glass: The Stunts – (2 mintues) The superhuman strength of The Beast is best illustrated in the stunts. Take a behind the scenes look into the very effective methods of executing stunts in the film. Stunt coordinator Manny Siverio said that the first time he worked with McAvoy, the actor wanted to get hit by a car; they had to rein him in a bit. There’s also a quick sequence showing how they did three separate fall stunts composited together to form one sequence. Connecting the Glass Universe – (2 minutes) Explore M. Night Shyamalan’s stylistic approach to the Glass trilogy and the unconventional concept of a comic book movie grounded in reality. M. Night Shyamalan: Behind the Lens – (2 minutes) Cast and crew discuss Shyamalan’s dedicated and meticulous approach to storytelling. The Sound of Glass – (2 minutes) Composer West Dylan Thordson elaborates on his use of string instruments to create tension, and explains why recording the score on-location enhanced the tone of Glass. Because they visited a mental health facility/hospital for inspiration, Dylan Thordson played some of his themes in these vast, vacant rooms in order to get a feel for their tone. Enhancing the Spectacle – (2 minutes) The VFX team provides details on the rewarding task of using CGI as an effective tool to intensify the narrative of Glass. The veins in The Beast’s character appearance were VFX add-ins, according to VFX lead, Bob Lowery. This was carried over from Split. The Beast throwing the table was a series of shots stitched together with CG. The water tank shot was apparently the hardest shot to get, from the cracks in the side of the tank to the tarp on top of it. The Osaka Tower was also, obviously, a VFX creation. Raven Hill Memorial – (2 minutes) Roam the long corridors of Raven Hill Memorial Hospital and see why the cast and crew describe the eerie location as its own character in the film. A defunct and abandoned former mental hospital/asylum in Allentown, Pennsylvania was used for the main location of the film. Taylor-Joy says she has made five movies in asylums and laughs about how much time she’s spent in them in her career. Night Vision – (2 minutes) A look at the early stages of Glass by examining the storyboards and their remarkable similarity to the final shots in the film. Shyamalan initially wanted to reveal to the audience that the whole movie takes place in, essentially, one location. It was cut because there were too many “beginnings” to start the movie. The alternate scene features the security team installing cameras all over the facility, an important plot point that pays off later in the film. What plays out is essentially a montage of the care facility’s workers prepping various items and equipment for daily use, from toothbrushes to devices that look like torture is their only purpose. 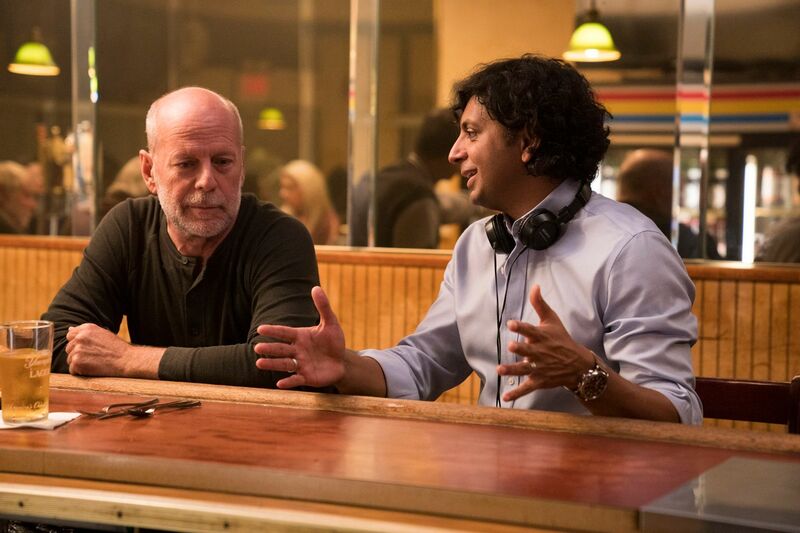 Shyamalan calls the realization of shooting certain scenes from the script that are then cut a fascinating process in order to become “better, more efficacious.” The first cut of Glass was three hours and twenty minutes. Being Shyamalan’s first (and possibly only) sequel, he admits to overwriting since he already introduced his characters. Shyamalan says that cutting this scene “really hurt.” He wanted to live in the lives of his characters, opting for a “slice of life” style of scene rather than the typical “thriller” tone. Following up on David’s conversation with his son, David goes to the bar and hears a news report on the new Osaka Tower before heading home. Shyamalan reveals that the scene that we see at the beginning of the movie used to be much larger. 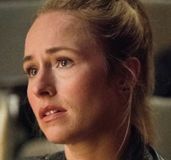 Split already gave audiences the background for “Patricia” and the Horde’s many personalities. This scene features McAvoy’s personalities talking to themselves, namely Dennis and Patricia. Dennis is concerned that the unbelievers are bringing Kevin closer to the light but Patricia assuages his fears before introducing herself to the chained cheerleaders. Shyamalan says this “beautiful little scene” was cut just do to the rhythm of the movie. It features David Dunn in the facility for the first time as the orderly Pierce delivers his new clothes, as they sort of test each other, visually. Though Shyamalan loved writing for Casey, her character had to be a part of the ensemble, so she could only get so much story credit and screen time. Her introduction in the film is an inversion from her introduction in Split; here, she’s free and open, not hiding from anyone. From Pierce’s point of view, this is meant to set up a number of threats and a sort of “false villain.” It was cut due to spending too much time with Pierce as a side character, time which didn’t service the thriller itself. Dr. Staple walks her orderlies through the proper usage of the equipment and shows proof of its efficacy. Shyamalan’s homage to Spielberg is seen in this scene, which they called “The Spielberg Shot.” It’s an introduction to Mrs. Price, for the first time in 19 years. Mrs. Price shares her perspective on Elijah with Dr. Staple. Shyamalan said that the “pressure of the thriller will allow only so much character development”, so this conversational scene had to be dropped. Elijah’s mother talks to him in his room, but he doesn’t emote or react at all. Shyamalan liked the way this “weird and cool scene” came out, but ultimately it didn’t fit with the pacing of the movie or the way they were trying to tell the story. Like classic horror movies, this scene featured a patient at the facility pointing at Dr. Staple and laughing, saying she knew who she was. Created to give the movie a haunted house feeling, this scene was cut to keep audiences on pace with Elijah’s story, not letting them get ahead of him. This “delicious” moment was taken out because Shyamalan didn’t want to implicate Mrs. Price in Elijah’s plans. It actually was a really nice scene between the two of them with Woodard’s character coming to the understanding that Elijah understands her and has plans of his own. Shyamalan laments this relatively “peaceful, quiet scene” but ultimately the rest of the script did the heavy lifting for this part of the story. If you’ve seen the whole movie, then this scene is pretty bittersweet since it seems like David had a chance to escape and return to his family. A Conversation with James McAvoy and M. Night Shyamalan – (5 minute) Star James McAvoy and Producer/Writer/Director M. Night Shyamalan discuss the importance of originality when creating a film in this genre. Shyamalan believes that Glass is a mixture of the thriller genre and a comic book “genre” structure. Shyamalan also talks up the unique and original take on those genres in order to give audiences something they’ve never seen before. McAvoy compares Glass to other superhero movies, but steers clear of making any specific title comparisons. McAvoy added about 10 characters to his collection of personalities in Glass and they got to explore The Beast quite a bit more. Glass is available on Blu-ray, DVD, and Digital now.